A Perfectly compacted MOD with a beautifully shaped design and long lasting body colors. The Wismec Reuleaux rx mini mod is powered with a built in 2100mAh Battery and can go as high as 80 watts for a fulfilling vaping experience. Along with its variable wattage mode the RX mini has Temperature Control as one of its built in features. The Specs also includes a "Dual Circuit Protection System" which protects the user from over charging, over current, and over discharging. The kit allows you to stay up to date with its upgradeable firmware which is just a plug in away. 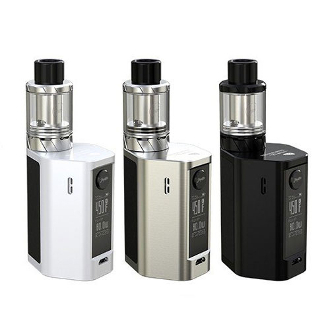 Along with a small yet powerful MOD Box, this kit comes with the Reux 2ml Mini Tank. The Rx Mini mod is a Sub Ohm top filling stainless steel Atomizer with an airflow control ring.